Born at Aberdeen, Scotland on 28 May 1831, son of Robert Machray and Christian Macallum, he was raised a Presbyterian but turned to the Anglican Church. He studied mathematics at King’s College, Aberdeen, and Sidney Sussex College, Cambridge, and was ordained in 1856. He was appointed Dean of Sidney Sussex College in 1859. He accepted the bishopric of Rupert’s Land in 1865, the youngest bishop in the church at the time. He arrived in Winnipeg, then Fort Garry, on 13 October 1865. At that time the Diocese of Rupert’s Land consisted of the Hudson’s Bay territory known as Rupert’s Land. There were in the Diocese only twenty clergymen covering this vast area. The Bishop at once proceeded to reorganize the educational institutions of the Church and founded St. John’s College consisting of a College with faculties in Arts and Theology and a Corporate School. He acted for many years as Warden and Headmaster in addition to the very varied duties as Bishop. He wrote to the colonial secretary in 1868, expressing concerns about squatters and recommending a small detachment of soldiers to facilitate the takeover of the Hudson’s Bay Company territory by Canada. In December 1869 he blamed the Canadian government for its lack of consultation, ignorance, and clumsy tactics. But he opposed the Métis resistance, and advocated the use of force to suppress it. When it was clear that the Métis had all the power, he counselled that Anglophone hotheads lay down their arms. At the same time that he facilitated the establishment of the provisional government, he wrote letters to Canada recommending military action. Machray feared the bloodshed of civil war and wanted outside military authority employed to suppress the Métis. He certainly distrusted Catholicism and looked hopefully to a Canadian future for Rupert’s Land. He remained bishop until his death, adding the wardenship of St. John’s College in 1874. As a schoolmaster at St. John’s College School, he was famed for the quality of his breakfasts and of his corporal punishment. 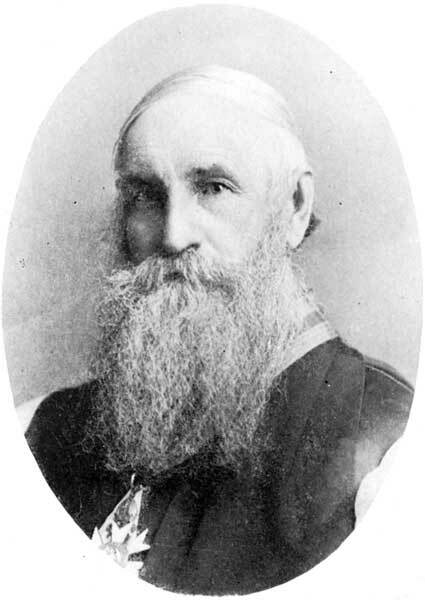 He was chosen first primate of Canada and archbishop of Rupert’s Land in 1893, and served as Chancellor of the University of Manitoba from 1877 to 1904. He was an ardent critic of the Greenway government’s educational policy. He threatened to establish an Anglican system of parochial schools, but was outmaneuvered politically and ended up being perceived as a supporter of the new educational system. He was uncle to John Alexander Machray. Never married, he died in Winnipeg on 9 May 1904. He is commemorated by Machray Avenue and Machray School in Winnipeg, and the Machray Hall at the Fort Garry campus of the University of Manitoba. There are papers in the Rupert’s Land Archives. Robert Machray, Dictionary of Canadian Biography XIII, 642-46. Life of Robert Machray by Robert Machray (1909).